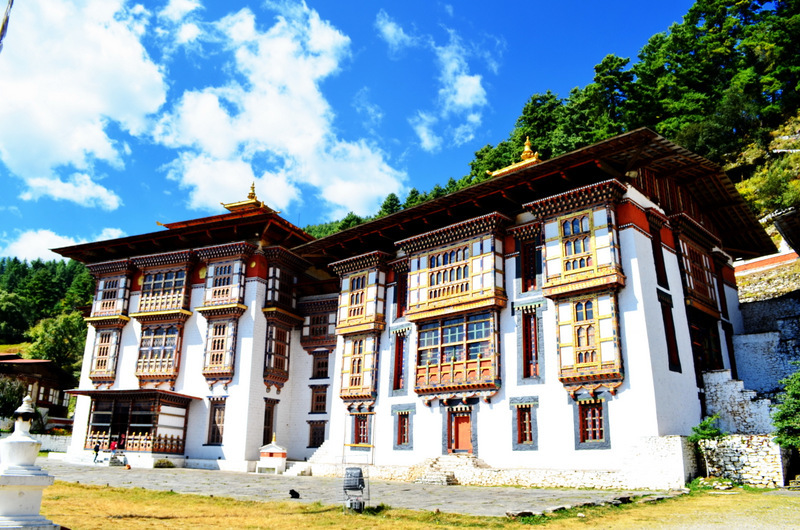 Kurje Lhakhang is located at Chokhor valley, around 15 minutes’ drive from Chamkhar town (Bumthang). The site has three temples which has a body impression of Guru Rinpoche left behind after he meditated there and subdued evil spirits the chief of which was Shelging Karpo. Kurje means body impression. Guru Rinpoche visited Bumthang in 746 AD at the invitation of the local king, The Chakhar Gyalpo. The oldest temple was built in 1652 by Chogyal Migyur Tenpa, the first Choetse Chila (governor of Trongsa province). The second temple was built in 1900 by the first King Gongsa Ugyen Wangchuck on the spot where Guru left his body imprint, and the third temple was built in the 1990s under the commanded of Queen Mother Ashi Kesang Choeden Wangchuck. The first, second, and the third temple contain respectively the three Buddhas (the past, present, future), a 12-metre tall statue of Guru Rinpoche, and Khenlop Chosum (Guru Rinpoche, King Thrisong Duetsen, and Pandit Santarakshita). Behind the temples is an old cypress tree, which is believed to be grown from a walking stick used by Guru Rimpoche while visiting Bhutan from Nepal. 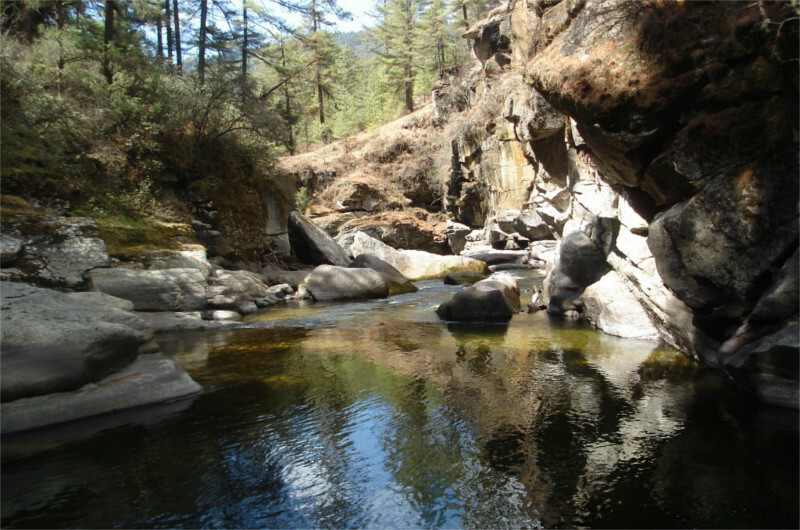 Mebar Tsho is a pool formed in a river and is located in a gorge on the way to Tang, some 30 minutes’ drive from Chamkhar town (Bumthang). Mebar Tsho, meaning Burning Lake is the sacred lake from where Terton Pema Lingpa discovered treasures as directed by Guru Rimpoche. Terton in front of villagers who has come to witness has jumped into the lake with a burning butter lamp in his hand. He miraculously emerged from the lake after some time with a chest and a scroll of paper and the butter lamp still burning. Therefore, the lake came to be known as Mebar Tsho.